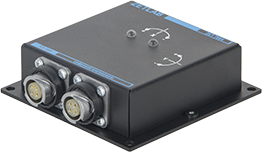 Structural health monitoring system (also referred to as ESMS – engineering structures monitoring system) based on ZET 7177 interface converters allows to enable data transfer to ZETLAB cloud server in the case if Ethernet connection is not available. Besides, it can be used together with measuring system based on ZET 7176 (to form a back-up data transfer channel to be used in the case of Ethernet connection failure). ZET 7177 (CAN 2.0 → GSM) interface converter is placed inside of electrical cabinet. It is mounted on a DIN-rail by means of mounting fixtures included into delivery scope. 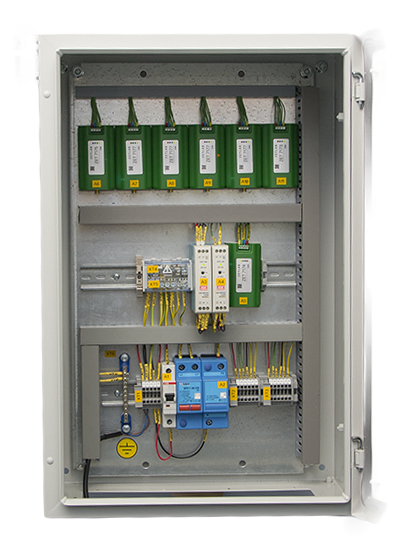 The power supply module (220V → +24V) is also placed inside of the electrical cabinet. A SIM card (MicroSIM) with Internet access is necessary for system’s operation. ZET 7177 receives data from the sensors with CAN interface and forwards it to the cloud server via 3G network. The data transfer process is performed in real-time mode. The digital strain gauges are key components of engineering structures stress-strain state monitoring system. They enable bearing structures deformation and bending control. Maximal measuring range is from -1800 up to +1800 µm/m. It depends on a particular mounting technique used. The minimal registered value at minimal measurements range is 0,2 µm/m. ZET 7154 digital inclinometers are the key elements of building’s tilt and controlled points relative displacement measuring system. Minimal measurements range: -15°…+15°, minimal registered value: 0,01°. 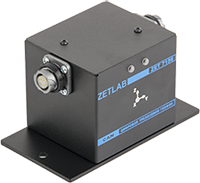 ZET 7140-S are used within the scope of building tilt and controlled points relative displacement monitoring system.They are mounted in the areas where relative displacement of structures is most likely to occur. Measurements range: -2500…+2500 µm, minimal registered value: 5 µm. 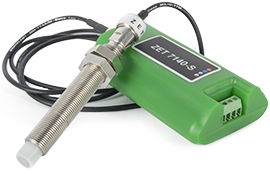 ZET 7152-N digital vibration sensors are used within the scope of natural oscillation frequency and decrement control system. The system enables control over vibrational acceleration of structural elements. Measurements range: 0,005…14 m/s2, minimal registered value: 0,001 m/s2. ZET 7156 digital seismometers are used within the scope of natural oscillations frequency and logarithmic decrement control. The system provides control over natural oscillations frequency and corresponding decrement control of the buildings. Measurements range 0,005…14 m/s2, minimal registered value: 0,001 m/s2. Additional advantage of similar systems is the possibility of remote automated verification of the sensors (i.e. in-place verification). Metrological self-check is prformed by means of task-oriented software via ZETLAB cloud server (the process is controlled by the specialists from our metrological department).